Macon County High School Jr. ROTC Program and Andersonville National Historic Site. See the press release and race results below for more information. 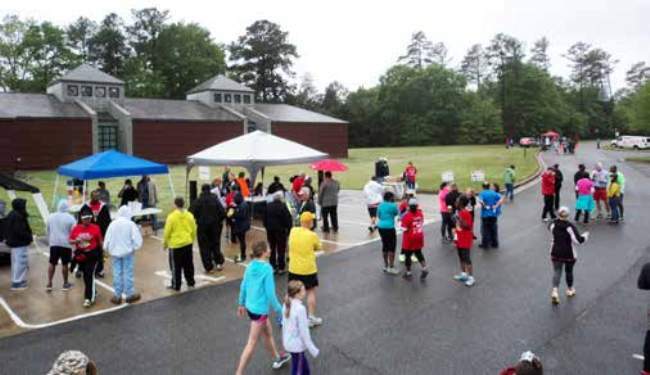 The 5K Run / Walk was hosted at the Andersonville National Historic Site on Saturday, April 21st. The race began at 8:00am and the first runner crossed the finish line in just over 18 minutes which was the fastest time in race history and quite significant given the difficulty of the race course. The morning hours were filled with sunshine and race participants were excited about the cool dry weather. More than 185 runners and walkers crossed the finish line for the 5K and Fun mile walk. Winners were recognized in fifteen (15) age categories from under 10 years of age to over 75 years of age. The overall male winner was Rian Miller of Americus, GA with a time of 18:04:70 and overall female winner was MaryBeth Forwood of Bishop, GA with a time of 25:37:44. 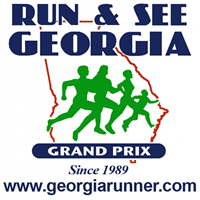 A listing of all race participants and results can be found on the County’s website and at https://georgiarunner.com/race-results/. Planning for this year’s event began in January and registration on the Racerpal website was immediately available. Representatives from the County, the Chamber, International Paper, Andersonville and the local community worked together following the “blue print” that had been created from previous years. Donald Chase was a welcome addition and brought some helpful advice. The event raised nearly $13,000 in sponsorships and registrations and will donate the net proceeds to Macon County Recreation Department, local youth activities and an organization that support Andersonville National Historic Site. Annual goals were to raise money to support local facilities, activities, including the recreation summer camp and other youth activities and provide exposure to Macon County and the National Historic Site. 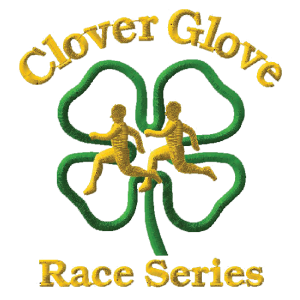 The event is a featured Run and See Georgia Grand Prix event and supports Clover Glove and Black Bag Race Series. The event also promotes the County’s Health and Wellness Initiative. The following sponsors provided financial support: Double Platinum sponsor Bamboo Road Farm, Gold sponsors included Barrington Dairy, International Paper, Imerys*, Flint Energies* was the Official Energy Sponsor and Flint River Hospital* was the Official Healthcare Sponsor. Georgia Power, Ocmulgee Engineering*, Miller Auto Parts*, Montezuma Welding*, Watson Mathews Funeral Home* and General Loan & Finance* also gave financial donations. The overall winners were given Bose Bluetooth speakers and a $50 gift cards as the grand prize. Post-race refreshments, including bottled water, peanuts, banana’s, and apples were donated from Piggly Wiggly in Oglethorpe, Felton’s Red and White grocery store in Marshallville Chase Farms, Farm Bureau and International Paper. Waste Industries provided trash receptacles, cups and coolers. Donations for door prizes and other items were made by Easterlin Pecan, Miller Auto, Joy’s Downtown, Josie’s Restaurant, Montezuma Welding, Farmer’s Furniture, Huddle House, Kountry Farm Center, Oaks Nursing Home, Ace Hardware in Perry, Phoebe Sumter Hospital, Waste Industries, Shiver Lumber, all in Americus, Patterson Chiropractic, Road ID, Imerys, Badcock, and Perry Brothers Oil. Sound was provided by Armand Burnett and photography was done by Chris Jervis with Portraits by Jeray. Special thanks to Papa’s Pizza for refreshments for the volunteers and event sponsors. *Indicates new and/or increased financial support. Duffle-type canvas bags with the event logo, printed by Global Graphics in Americus were given to all participants and sponsors. Medallions for the race winners were done by Rutherford Trophies in Macon. Merle and Benny Wade with RANREB provided time management. The National Anthem was sung by Donald Chase. Judge Tommy Martin gave the invocation. County Departments provided in-kind services including assistance with parking, cones and barrels, water coolers, tables and chairs, and tents. Macon County EMS was on site to assist with any medical needs and the Recreation provided a bus for assistance with transport and parking. Macon County Fire & Rescue provided parking assistance and local HAM operators were on hand providing communications and monitoring for the race. Special thanks to Andy Windham and the EMS staff; David Parrott and Shon Martin, Building Department; James Conner, EMA; Michael Respert and Bobby Fulks and the entire staff of the Public Works Department; Armand Burnett, Parks and Recreation Department; Sheriff Leonard Johnson and Deputies with the Sheriff’s Office, Micah Kaufman and the many volunteer firefighters, Fire & Rescue; Darin Barfield and Janet Mendez, Whitewater Creek Park, Roy Yoder, LEPC and John Turner and the Ham operators . Special Appreciation to the following volunteers who helped with event preparation, set up and event day operations: Melody Edmonson, Roselyn Starling, Crystal Miller, Tracey Hall, Nicole Howell, Felissa Parrott, Carla Odom, Sue Whipkey, Valery Davis, Pretandra Larry, Mary Beth Arthur, John Arthur, Seth Parrott, and Brenda Wall. Special Thanks to the Board of Commissioners for their support and participation. Special Thanks to Melody Edmonson and Roselyn Starling for coordination and registration, Dot Barker for assistance with accounting, and Brenda Wall for reporting the race results. Plans for the next event are starting now. Participants, volunteers and organizers are welcome to participate. Race Day Registration Starts @ 7:00 A.M.
All participants will receive a Keepsake* and a Pac Bag filled with goodies. Awards are presented to the top three male and female finishers in each of 16 age groups. There will also be some Fantastic Door Prizes! *T-shirts are not guaranteed for registrations after April 6th. Register online through April 13, 2018. Register race day beginning at 7 am.